"Hannibal has reservations for two. " In Hannibal’s season two finale the cast was left in their individual pools of blood, while Dr. Hannibal Lecter (Mikkelsen) made his peaceful escape into the rainy night. Fannibals were left wondering if Will (Dancy), Alana (Dhavernas), Jack (Fishburne) and Abigail (Rohl) survived their gruesome fate. Although, it is clear that Hannibal found his way onto a plane with Dr. Bedelia Du Maurier (Anderson). While the first two seasons followed Will Graham, the season finale left Hannibal as the conqueror. This, ultimately, proves that Hannibal is the true protagonist of the show called Hannibal. So, whatever happens to Will and the rest of the cast could be deemed insignificant. But, if Hannibal no longer has his sights on Will, then who will he focus his obsession on for season three? Creator Bryan Fuller has mentioned that the new season will begin like a new pilot and “starring Gillian Anderson and Mads Mikkelsen as a murder couple.” In fact, the opening episode of the season has already been revealed. The murderous duo will be living in Europe and pose as a married couple. 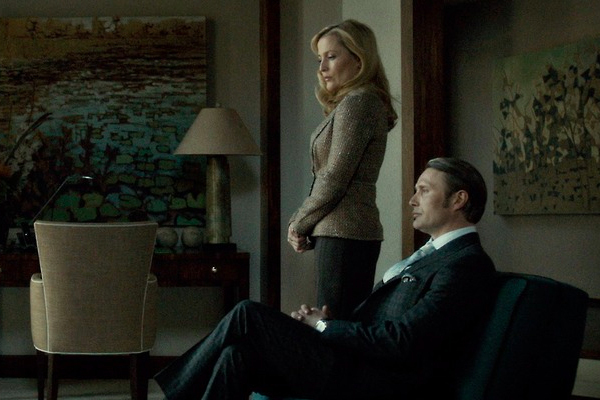 Hannibal has his eyes set on another victim and in this season it will be Bedelia who betrays him. The new season will be divided into two parts. Fuller has, also, revealed he doesn't see the series go beyond six seasons, but will treat every season as if it was the last. For that reason, the finale of season two was beautifully tied. 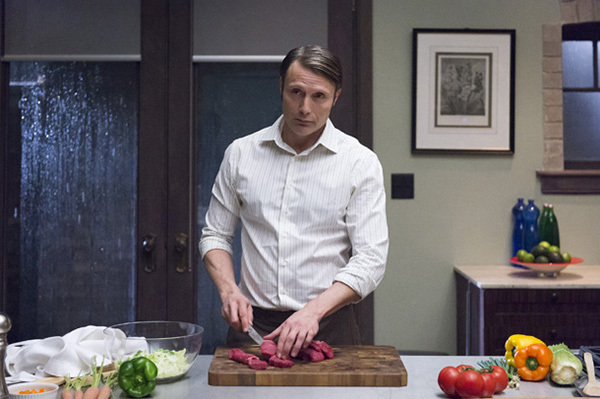 It is presumed the entire cast was killed and Hannibal continues to live his cannibalistic life. In addition, Fuller said season two’s Blu-ray Specials will have clues to what’s to come in the upcoming season. The Bu-ray will contain more extras, including plenty of commentaries and documentaries. The Blu-ray will be available September 16. Hannibal Season three is believed to premier 2015.